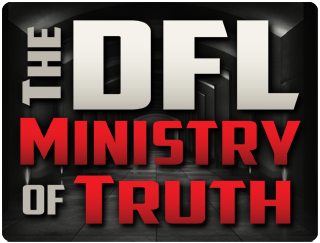 This entry was posted in Lie First, Lie Always, Media Bias, Minnesota's Ministry Of Truth, Victim Disarmament by Mitch Berg. Bookmark the permalink. The end of that first paragraph has given me a Springsteen earworm, thanks. You got to learn to live with what you can’t rise above. “Your right to safety demands that I take your gun away. So you won’t give it up, eh? Then I’ll have to shoot you. Every time the Strib files for bankruptcy (which it frequently does), an angel gets its wings. I think you are looking at the inflation adjusted DJIA, MacArthur Wheeler. In non-inflation adjusted numbers (which is, of course, how the numbers were reported at the time), The DJIA was essentially flat during the 70s. DJIA in Jan. 1970 was 744, and 860 in January 1980. There’s this thing about Sturdevant – and I can’t help but think she cultivates it – it’s that vapid look with the dopey smile and the frumpy clothes as a front for her job as spokesman for, well, to be honest, fascism. Liberal fascism. MP, you’re correct, my quick search spewed up sites with numbers that look like temperature charts after NOAA has “normalized” the data. The point is that the 70s was not a period of growth and was indeed a wasteland for the investor. The 1970s….ah, the halcyon days of stagflation, Communist insurgencies all over the world, polyester leisure suits, death-trap compact cars, and disco. That the left waxes nostalgic about those days tells us that yes, they did inhale, and repeatedly. *Dario* Anselmo is the rep from Edina. Mick is the radio big wig. 38,000 gun deaths. Sounds like a problem. Is it? 22,000 of them were suicides, mostly white male gun owners who killed themselves in despair at the path the nation is on. From Lori’s point of view, that problem is solving itself so what’s to complain about? 11,000 of those gun deaths were young Black men shooting each other. From Lori’s point of view, they are invisible. Can’t be mentioned at all. I wonder how many of those suicides were actors, musicians or other artsy types, that offed themselves for any variety of reasons? Leftist reprobates are all about assisted suicide…they just don’t want you doing it without the government’s blessing and help. Boss, I’m pretty sure most of the suicides are actually blue collar men who can’t get good work. Similar demographics to those dying from opioids, and quite frankly I have to wonder if a portion of those 50k+ opioid deaths each year are in fact quiet suicides. In other words, suicide hits Trump voters hard.